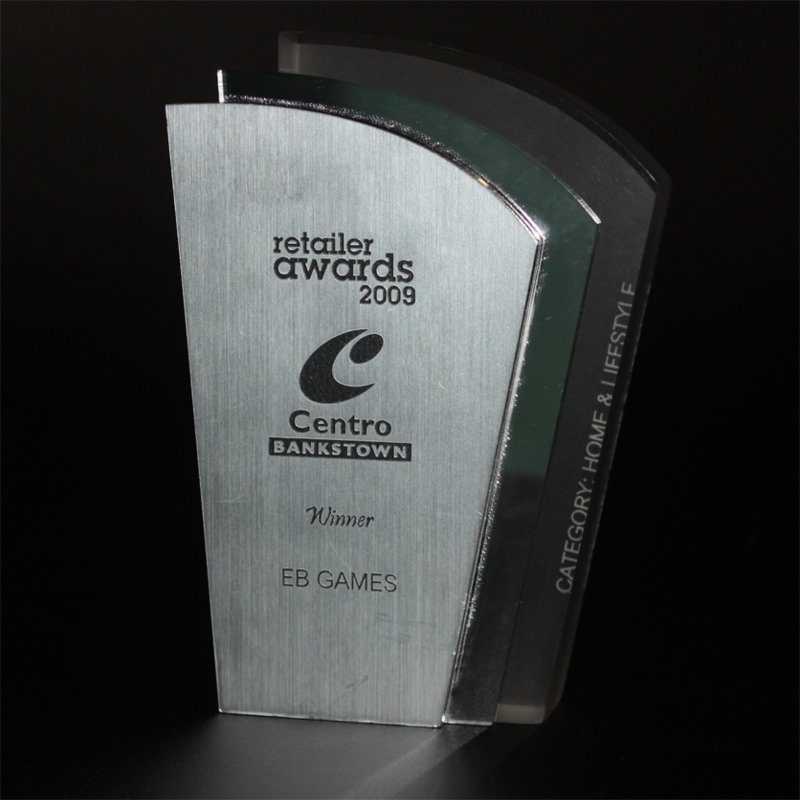 These awards were created back in 2009 for Centro Bankstown’s Retailer Awards. Although seeming simple in appearance, they are finely detailed and complex. The award structure is made up of 3 different layers. First, we created a custom cut base layer of clear acrylic, which was machined and sanded to result in the frosted effect. The category of the award has been engraved into the back face of this block. The second layer is a panel of mirror acrylic cut to a similar shape to the back layer. The front layer is a panel of black acrylic layered with engraved brushed silver with black core laser plate, once again cut a similar shape to the preceding 2 layers. The 3 layers have been affixed to each other in a cascading sequence to achieve the end result which is subsequently a quite impressive award.